Sorry for not posting anything for a while. Kind of forgot about posting and honestly havent been shooting much lately. Been doing a lot of video work. 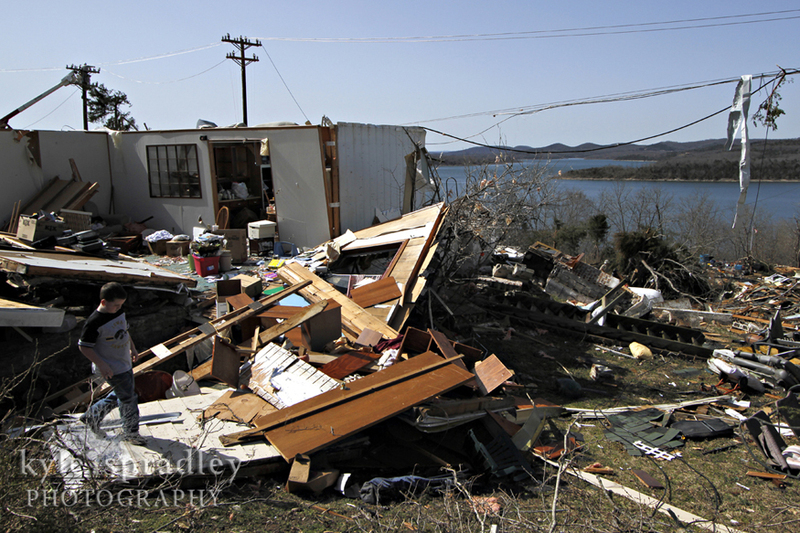 Anyways, here are a few shots from some of the damage Branson received following the Leap Day Tornado. This area is actually in West Branson, along Joe Bald Road near Table Rock Lake. 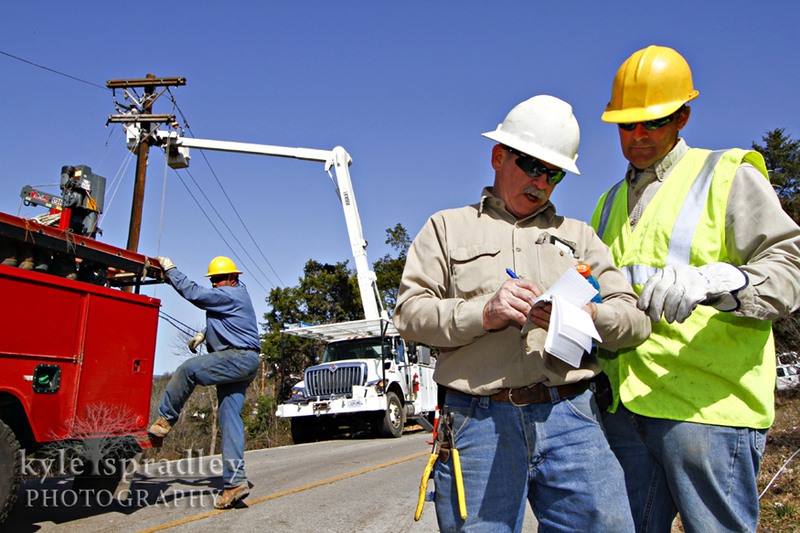 I was working with some White River Valley Electric Cooperative guys helping reset some line. 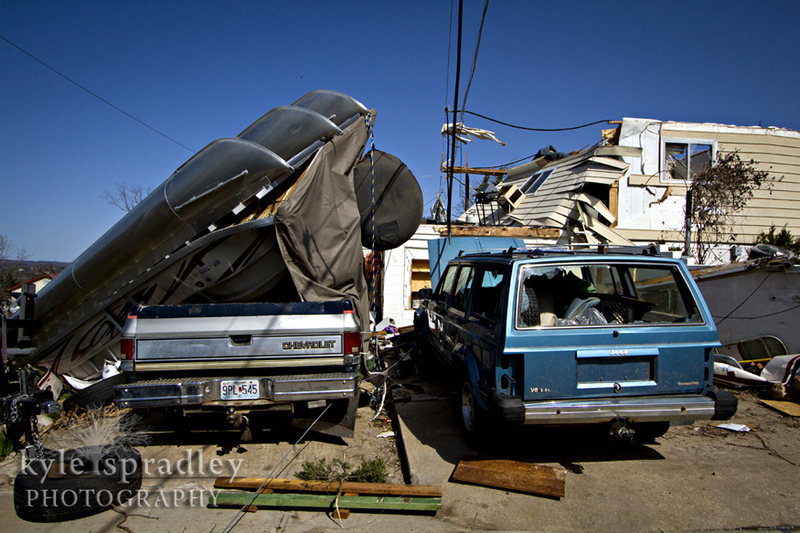 Thanks goes to the families for letting me snap a few photos while they dealt with the devastation of their home. 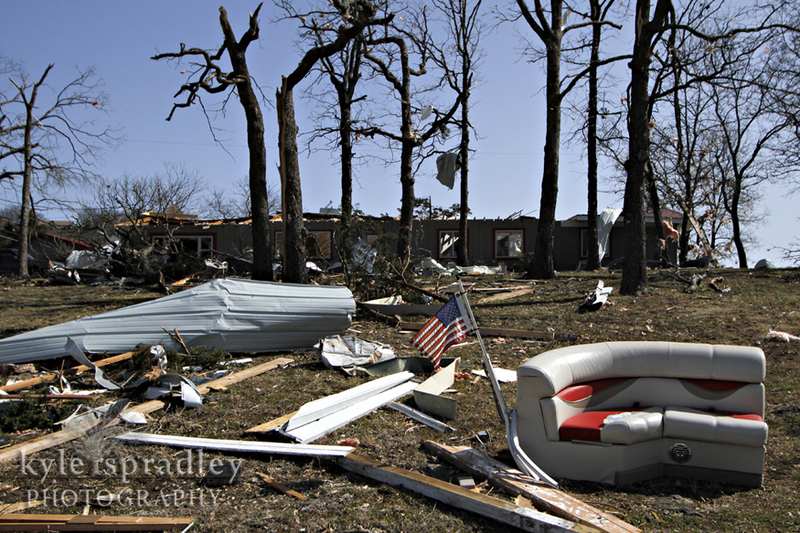 Debris, including a pontoon boat seat that was launched into the neighbor's yard, sits in front a house along Joe Bald Road in West Branson, Missouri following the Leap Day Tornado that hit southwest Missouri. 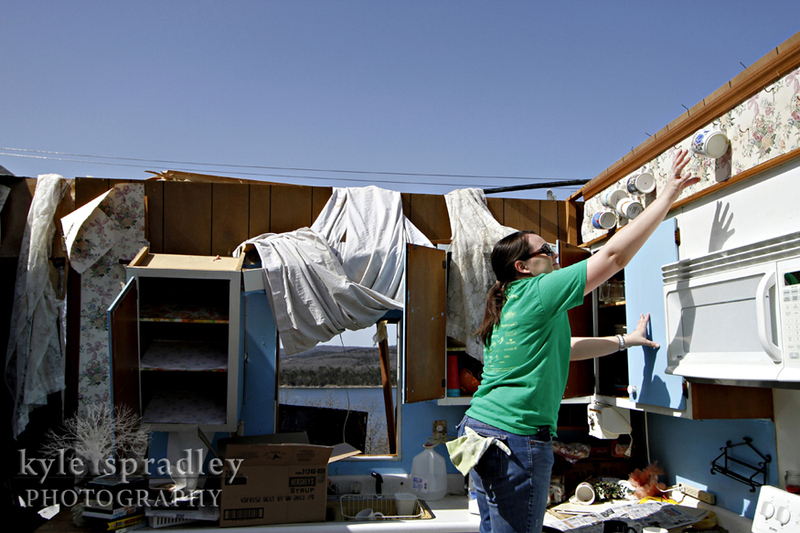 April Lindley pulls down coffee cups from what remains of Pat and Geray Hulseman's kitchen in West Branson. Lindley, a long-time family friend of the Hulsemans helped the family collect any salvagable goods from their home that was destroyed by the Leap Day Tornado. A young boy walks amongst what remains of Pat and Geray Hulseman's home. White River Valley Electric Cooperative line crews work to restore power to what remains of the area. A White River Valley Electric Cooperative linemen waits in the bucket of his digger derrick truck before new line is fed from pole to pole. Pat and Geray Hulseman's pontoon was flipped onto their truck. 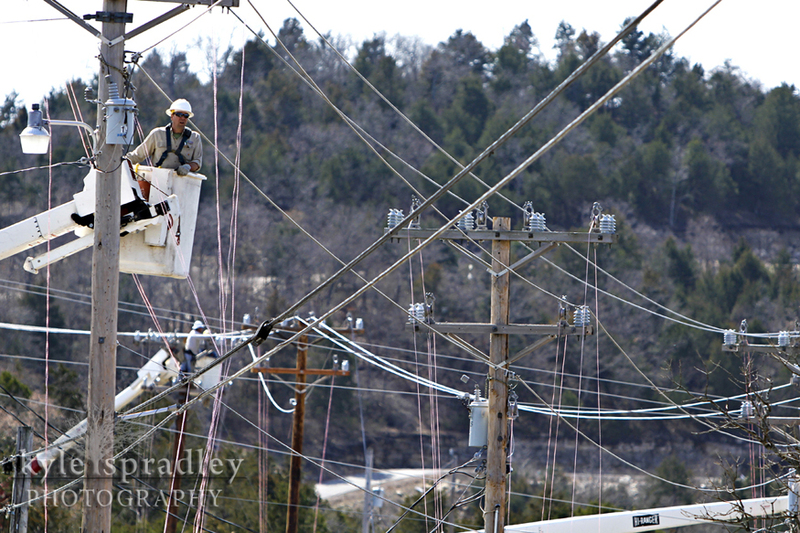 White River Electric Cooperative linemen work to restore power to the West Branson area. 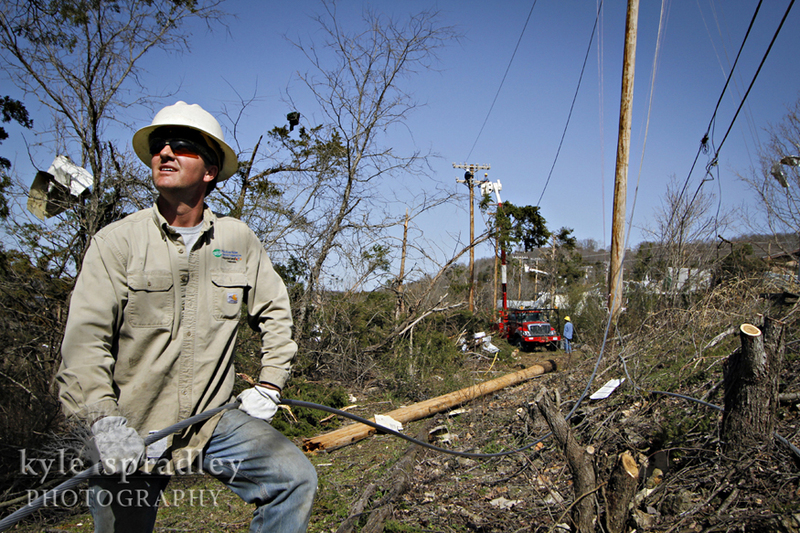 A White River Valley Electric Cooperative Linemen stops for a moment to gaze upon the damage following the Leap Day Tornado that hit southwest Missouri. 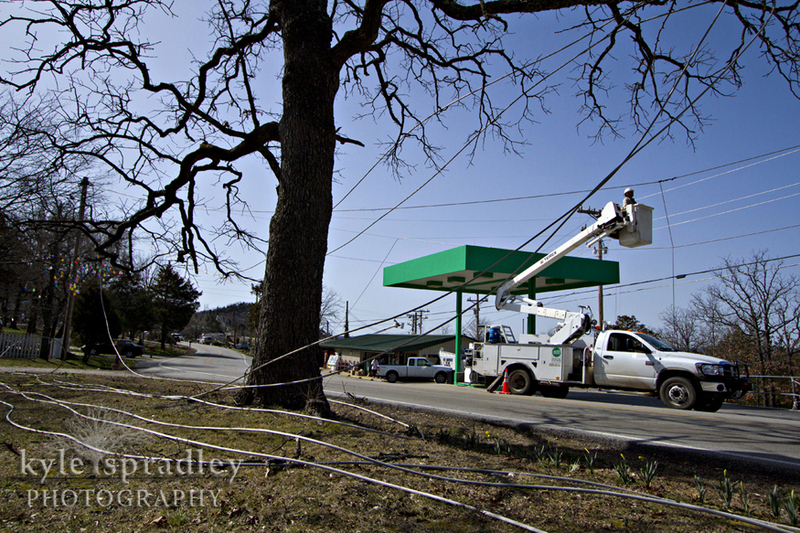 Nearby Howell-Oregon Electric Cooperative joined the crews in the Branson area to help to restore power to the more than 7,000 members left in the dark. 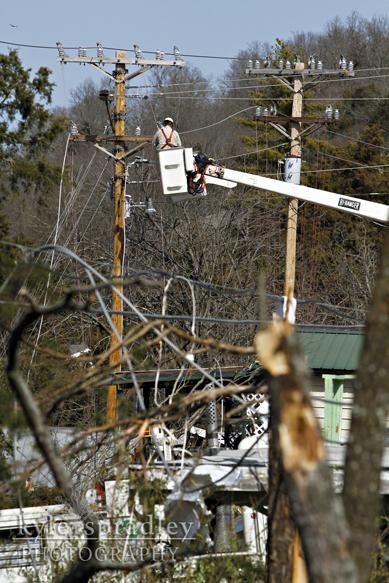 A White River Valley Electric Cooperative linemen looks out amongst the system of line the crews were working to help restore for residents in the West Branson area following the Leap Day Tornado that wreaked havoc across southwest Missouri.